Bright, fragrant, single, fuchsia flowers with lavender centers atop a low mound of blue foliage. Use it to edge sunny borders and pathways. 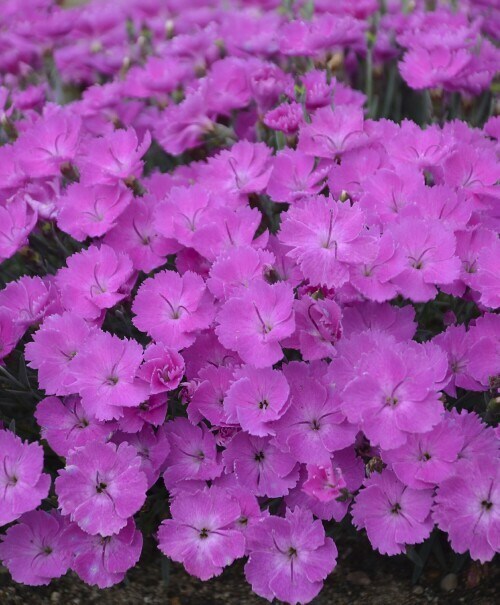 Grows best in sun to light shade and well-drained soil.